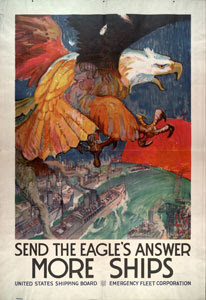 From the same school as "If you want peace, prepare for war," a global maritime power must maintain a presence at sea. It must design a national strategy in line with its economic capability and political will, and make sure it mans, trains, and equips its navy in line with the design. If presence is a critical function of a navy, how is it best accomplished, what are the tradeoffs, and how does it impact friends, competitors, and those sitting on the fence? Our guest for the full hour to discuss this and more will be Dr. Henry J. Hendrix, Jr, CAPT USN (Ret). Jerry is a Senior Fellow and the Director of the Defense Strategies and Assessments Program at the Center for a New American Security. 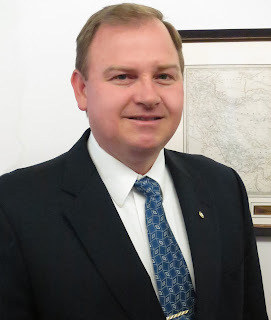 When on active duty, his staff assignments include tours with the Chief of Naval Operation’s Executive Panel (N00K), and the OSD Office of Net Assessment From 2011-2012 he served as the Director and Designated Federal Officer of the Secretary of the Navy’s Advisory Panel. He also contributed to the 2012 Department Posture Statement to the Congress. Following the fall, 2011 Navy Inspector General’s Report on the state of the Naval History and Heritage Command, he was verbally ordered by the Secretary to assume the position of Director of Naval History. 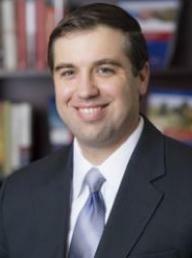 Hendrix previously served as the Navy Fellow to the Weatherhead Center for International Affairs at Harvard University. He has been awarded a Bachelor Degree in Political Science from Purdue University, Masters Degrees from the Naval Postgraduate School (National Security Affairs) and Harvard University (History) and received his doctorate from King’s College, London (War Studies). 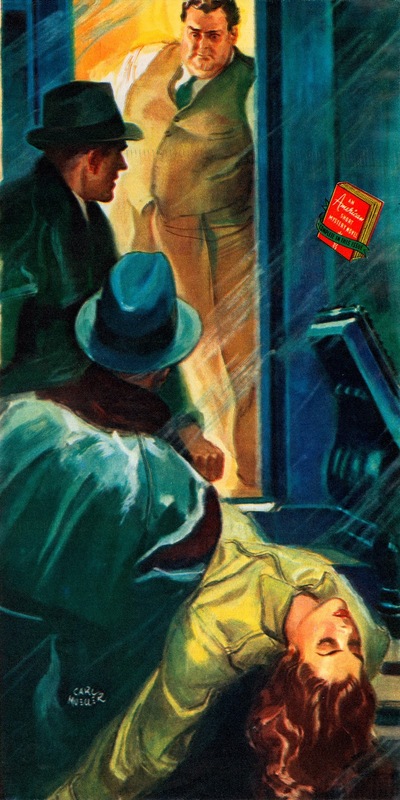 Saturday Is Old Radio Day: The New Adventures of Nero Wolfe "The Brave Rabbit"
Nero Wolfe is a fictional character, an armchair detective created in 1934 by American mystery writer Rex Stout. 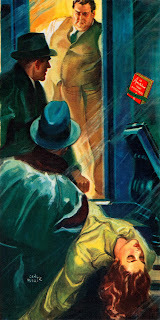 Wolfe's confidential assistant Archie Goodwin narrates the cases of the detective genius. Stout wrote 33 novels and 39 short stories from 1934 to 1975, with most of them set in New York City. Wolfe's residence features prominently in the series, a luxurious brownstone on West 35th Street. The New Adventures of Nero Wolfe is a 1950–51 American radio drama series starring Sydney Greenstreet as Rex Stout's fictional armchair detective Nero Wolfe. Based on Stout's principal characters but not his stories, the series aired October 20, 1950 – April 27, 1951, on NBC. It is regarded as the series that is most responsible for popularizing Nero Wolfe on radio. Expensive Lessons in Governing Captured in NYTimes "More Is Needed to Beat ISIS, Pentagon Officials Concludes"
Obama did not rely on his functional experts to do this work, the people who would have to mobilize the enormous apparatus of government to accommodate any big change in policy; he went to personal, trusted associates whom he knew would always defer to his judgment. His staffing decisions had the effect of cutting the State Department out of statecraft (at a speech last year in Cuba, John Kerry made it a point not to acknowledge Rhodes’ work while praising Obama’s other adviser, a subtle but unmistakable snub). More prosaically, Obama has made choice after choice that belie a worrying ignorance of the power that good staff can have. In the past, the Pentagon’s requests for additional troops in both Iraq and Afghanistan have been met with skepticism by Mr. Obama, and his aides have said he has resented what he has regarded as efforts to pressure him. But the rise of the Islamic State has alarmed the White House, and a senior administration official said Thursday that the president is willing to consider raising the stakes in both Iraq and Syria. Thousands of American troops had died, and by the time Obama announced the withdrawal, fully three-quarters of Americans supported the withdrawal (though a majority of Republicans did not). Still, many had real concerns al Qaeda wasn't done for. And there were some, including U.S. senators, saying the troops should stay just in case things went downhill. They say Obama should have sold the idea, hard, to Maliki. Iraq analyst Kirk Sowell said Obama never really tried. "This is one of the criticisms of Obama — that he sort of wanted the negotiations to fail," Sowell said, "and, so, he didn't even talk to Maliki until it was basically all over." You can sort out your own issues of "sins of omission" vs. "sins of commission," but in my world the person who relieves the previous officer of the deck (OOD) and then does not change course to avoid a collision that was not apparent to the previous OOD cannot then blame the prior watch for "putting the ship on a course to a collision." As the saying goes, "That dog won't hunt." The Pentagon’s desire to expand the military presence on the ground comes as the American public remains skeptical of the United States’ getting more deeply involved in another conflict in the Middle East. Polls have shown that Americans are not convinced the Obama administration has a plan to defeat the Islamic State, which has maintained control of nearly all the large cities it took over in 2014. 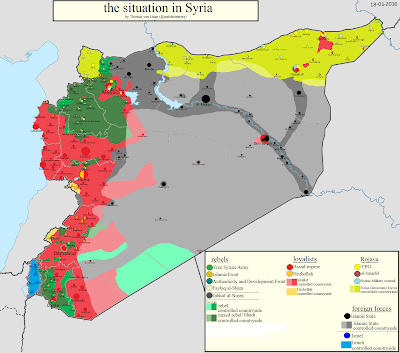 How can you have plan to defeat ISIS unless you have an idea of what the Middle East should look like when ISIS is defeated? Mr. Obama has already called for Syria's Assad to "go away" though he seems lately to have been more wishy-washy on that view. 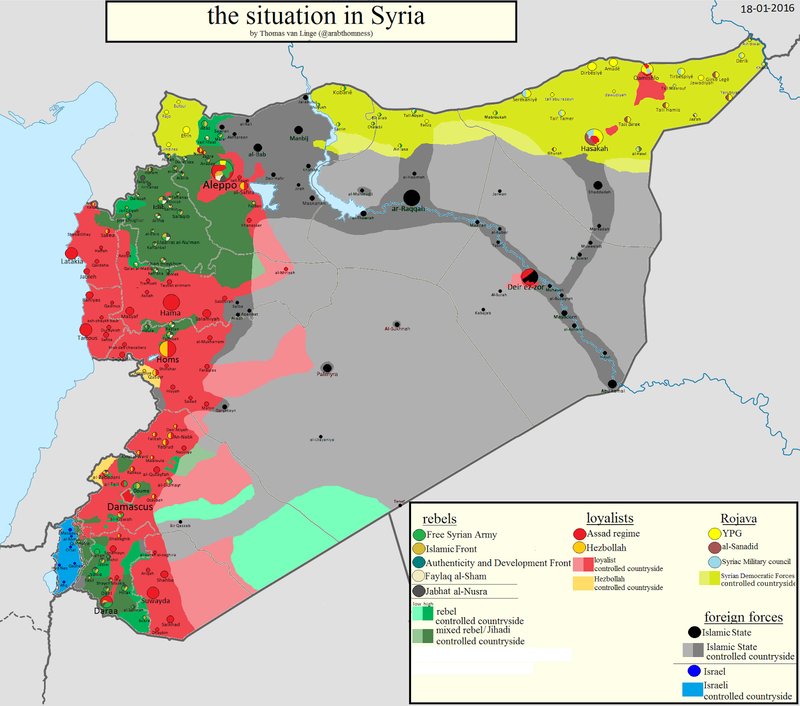 Russia and Iran are involved in Syria now and had we decisively acted earlier they might not have been so. Perhaps Mr. Obama feels strongly diffident and, taking the easy path, has simply voted "present" again. Those deferred decisions tend to catch up with you, though. So, now, more U.S. boots on the ground. Shoulda, woulda, coulda done this earlier and squashed ISIS at the gitgo. Friday Good Advice Film: "Don't Kill Your Friends (1943)"
We could debate the LCS mess but others are already doing that. See also Pentagon in open brawl over spending priorities. The Navy recently tested its newly developed Common Control System (CCS) with a submersible unmanned vehicle during a series of underwater missions at the Naval Undersea Warfare Center Keyport in Puget Sound, Wash., the Naval Air Systems Command announced in a Jan. 22 release. The CCS successfully demonstrated its capability to provide command and control to a surrogate Large-Displacement Unmanned Undersea Vehicle (LDUUV). CCS is a software architecture with a common framework, user interface and components that can be integrated on a variety of unmanned systems. It will provide common vehicle management, mission planning and mission management capabilities for the Naval Unmanned Systems (UxS) portfolio. During the test events Dec. 7-11, operators from Submarine Development Squadron 5 Detachment UUV used CCS to plan and execute several surveillance and intelligence preparation missions. The CCS sent pre-planned missions, via radio link, to the LDUUV’s autonomous controller and displayed actual vehicle status information to the operators during the test. The vehicle was able to maneuver to the target areas and collect imagery. What? Never heard of CCS? Ah, the short-lived Stan Freberg Show - 15 episodes of a form of humor the world wasn't quite ready for. Or, at least sponsors weren't ready for. 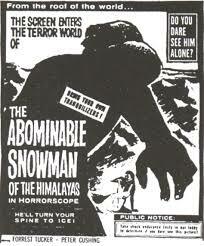 Here's a classic featuring, for those of you on the snowed in East, the "Abominable Snowman" or "Snowperson" or "Snowmate" or whatever the Navy would now want us to call - um - it. On Midrats 24 Jan 16 - Episode 316: "Getting Female Combat Integration Right With LtCol Kate Germano"
Please join us at 5pm (EST) on 24 Jan 16 for Midrats Episode 316: "Getting Female Combat Integration Right With LtCol Kate Germano"
How do we get combat integration of women right? The quest has moved well away from "if" and in to "how." With an apparent broad disconnect between biological realities, cultural norms, and political desires, what is the right way for military leaders to carry out their orders while ensuring that combat effectiveness is maintained. Our guest to discuss this and related issues for the full hour will be Lieutenant Colonel Kate Germano, USMC. Commissioned in August 1996, LtCol Germano has served for over 19 years on active duty in the United States Marine Corps. A combat veteran, she additionally participated in numerous operational and humanitarian assistance and disaster relief deployments. Ashore, her duties including a year as the Marine Aide to the Secretary of the Navy. She was selected for command twice, most recently as the commanding officer of the Marine Corps’ only all-female unit, the 4th Recruit Training Battalion. She holds a bachelor’s degree from Goucher College, where she majored in History with a pre-law emphasis. In 2011, she graduated with distinction from the Marine Corps Command and Staff College, earning her Masters of Military Science degree. She is actively engaged in the struggle to end gender bias in the military, and is a vocal proponent for equal rights and the elimination of double standards and lowered expectations for female conduct and performance. Join us live or pick the show up later by clicking here. You can also pick up the later from our iTunes page here. The Great Green Fleet is a Department of the Navy initiative highlighting how the Navy and Marine Corps are using energy efficiency and alternative energy to increase combat capability and operational flexibility. At the close of the ceremony, the Arleigh Burke-class guided missile destroyer USS Stockdale (DDG 106) left the pier to begin its deployment, becoming the first U.S. Navy ship running on an alternative fuel blend as part of its regular operations. "When it comes to power, my focus has been about one thing and one thing only: better warfighting," said Mabus. "The Great Green Fleet shows how we are transforming our energy use to make us better warfighters, to go farther, stay longer and deliver more firepower. In short, to enable us to provide the global presence that is our mission." The blend fueling the JCS CSG's surface ships contains alternative fuel made from waste beef fat provided by farmers in the Midwest. 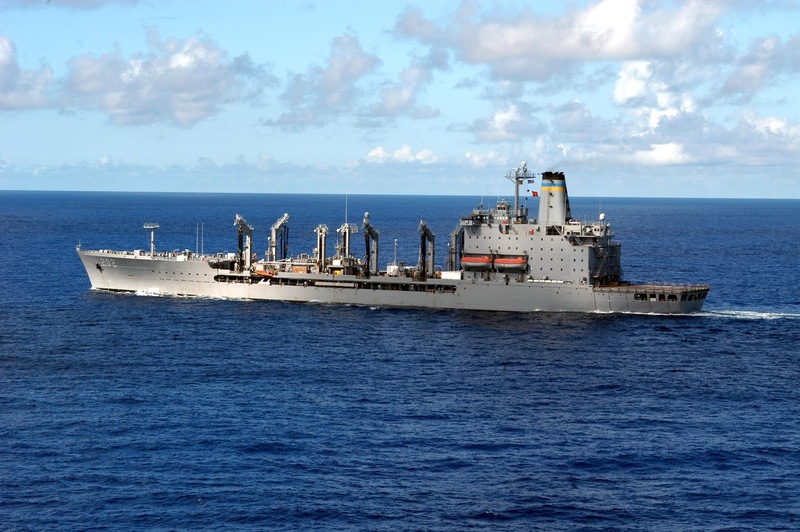 It was purchased at a cost-competitive price through a partnership between the Department of the Navy and U.S. Department of Agriculture (USDA) aimed at making alternative fuel blends a regular part of the military's bulk operational fuel supply. With the USS John C. Stennis (CVN 74) and Stockdale in the background, Mabus and Vilsack explained why this milestone alternative fuel purchase is important to the Navy and Marine Corps, and how it supports America's farmers, ranchers and rural manufacturing jobs. Mabus said, "Diversifying our energy sources arms us with operational flexibility and strengthens our ability to provide presence, turning the tables on those who would use energy as a weapon against us." "The Navy's use of renewable energy in the Great Green Fleet represents its ability to diversify its energy sources, and also our nation's ability to take what would be a waste product and create homegrown, clean, advanced biofuels to support a variety of transportation needs," said Vilsack. "Today's deployment proves that America is on its way to a secure, clean energy future, where both defense and commercial transportation can be fueled by our own hardworking farmers and ranchers, reduce landfill waste and bring manufacturing jobs back to rural America." The most energy efficient, non-CO2 emitting ship mentioned in the article is Stennis which is nuclear powered. You should also note that the price of crude oil is today below $30 barrel and the U.S. has a plentiful domestic supply as well as a enormous supply of natural gas. Of course, those supplies are mostly in "red states" like Texas and so the jobs provided by the oil and gas industry don't appear to count as much as jobs "in rural America" wherever that is, though Texas and other oil producing states seem to have a lot of "rural" in them to me. I'm really interested in the logistics train that will have to follow Stockdale if the intent is to keep the ship running on this blend for an entire deployment. Will she have her own tanker carrying this "special fuel" or what? What does that add to the operating costs of the fleet and who is paying for it (other than the taxpayers)? I might be wrong, though, so you can read all about the Great Green Fleet here. The U.S. Navy will formally deploy its so-called "Great Green Fleet" on Wednesday, sending warships to sea on biofuels even though oil prices have dropped 70 percent since congressional Republicans first criticized the high cost of alternative fuels. Navy Secretary Ray Mabus told Reuters the deployment is the next step in a fleet-wide effort that has seen the Navy cut its oil consumption by 15 percent since he took charge in 2009 and the Marine Corps curb its use by 60 percent. A focus on energy and energy-saving technology gives the U.S. Navy a military advantage, Mabus said. An amphibious assault ship like the USS Makin Island, which uses a dual electric-diesel propulsion system, can stay on station three times longer than a conventionally powered vessel, he said. Mark Cancian, an analyst at the Center for Strategic and International Studies and former White House budget official, said the initiative is as much about environmental symbolism as cost savings or tactical advantage. Many congressional Republicans objected three years ago when the Navy sought and won support for defense subsidies to help three private firms build biofuel refineries. With oil now selling around $30 a barrel, that skepticism remains. "They have not changed their position, which is that these are too expensive and not needed," Cancian said. The Defense Department uses about 14 million gallons of fuel a day, with the Navy responsible for about a quarter of that, according to figures from the Defense Logistics Agency. When the Navy first tested biofuel versions of marine diesel and jet fuel in 2012, it spent eye-popping sums for small amounts. In one case it paid $424 a gallon for 20,055 gallons of biofuel based on algae oil. In another it spent nearly $27 per gallon for 450,000 gallons of biofuel, later mixed into a 50-50 blend. The $15-per gallon-cost was four times the price of conventional fuel at the time. 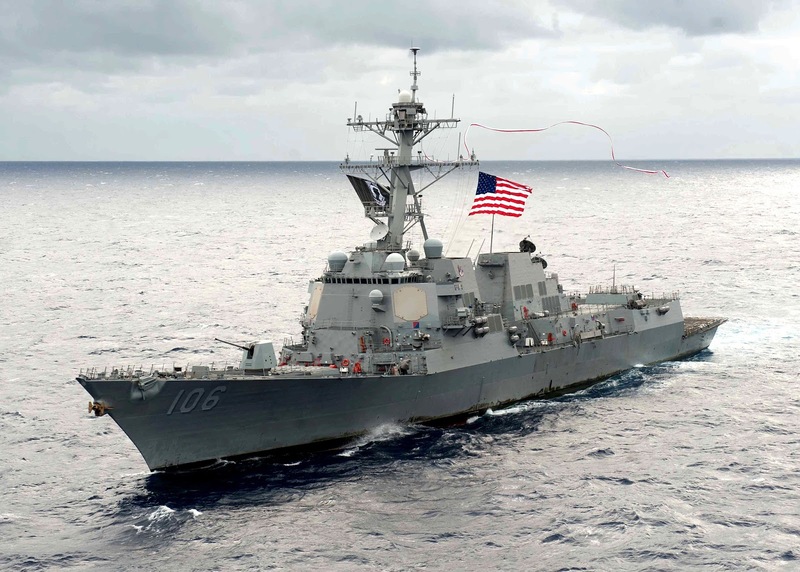 The fuel being used for the Great Green Fleet deployment is a competitively priced blend of 90 percent diesel and 10 percent biofuel based on a beef tallow feedstock, Navy officials said. A California firm, AltAir Fuels, is contracted to supply 77 million gallons of the fuel between Oct. 1, 2015, and Sept. 30, 2016. The Navy pays $2.05 per gallon, thanks in part to a subsidy of 15 cents per gallon from the Commodity Credit Corp., a government-owned enterprise that supports farm products. With fracking and all the new recovery techniques, it seems the issue of bad guys using "fuel as a weapon" is a ship that has sailed. But "environmental symbolism?" That's a nice turn of phrase. The Philippines is set to offer the U.S. military use of eight bases, a military spokesman said Wednesday, after the country’s supreme court upheld a security agreement with Washington forged in the face of rising tensions with China. The facilities include the former U.S. Clark airbase and air and naval facilities on the southwestern island of Palawan, which faces the South China Sea, the focus of territorial disputes with China. In any event, if we are going to sit down to play, we better be prepared to go all the way. As in the "Chicago Way,"
The NCIS of its day? Standard deployment work up with the entire fleet. Video should should autoplay into the second and third episodes. Not sure when the Naval advisers to this series were paying attention as there are quite a few glitches. And all in dress whites. With a decade and a half of ongoing ground combat under our belt, what are the hard-won lessons we need to keep, and what should be left behind? Looking forward, what are the challenges our ground forces need to make sure they are prepared to meet? From growing conventional strength from nations who desire to challenge our nation's global position, to the unending requirements for Counter Insurgency excellence, what is the balance? Our guest to discuss this and more will be Paul Scharre, senior fellow at the Center for a New American Security and a former Army Ranger with service in Iraq and Afghanistan. You can download a copy of his CNAS report, "Uncertain Ground: Emerging Challenges in Land Warfare," from the CNAS site here. Iran's IRGC Navy detained two US navy combat vessels and 10 marines in the Persian Gulf on Tuesday. Tehran released the sailors on Wednesday and after it was proved that the US troops were in Iranian waters unknowingly. Subject to this Convention, ships of all States, whether coastal or land-locked, enjoy the right of innocent passage through the territorial sea. (b) proceeding to or from internal waters or a call at such roadstead or port facility. 2. Passage shall be continuous and expeditious. However, passage includes stopping and anchoring, but only in so far as the same are incidental to ordinary navigation or are rendered necessary by force majeure or distress or for the purpose of rendering assistance to persons, ships or aircraft in danger or distress. 1. Passage is innocent so long as it is not prejudicial to the peace, good order or security of the coastal State. Such passage shall take place in conformity with this Convention and with other rules of international law. (l) any other activity not having a direct bearing on passage. Were the U.S. Navy vessels engaged in "innocent passage?" Certainly appears that way. Did the Iranians have the right to investigate the situation? Sure. Did the Iranians seize the opportunity to inflate the situation through their ham-handed media efforts? Of course, that's what they do. Is it worth going to war over? No, it barely scratches the surface of notice compared to the other stuff the Iranians are up to. UPDATE: Why do I feel that the Iranians had the right to investigate? Because of the long list of things that would make a passage not "innocent." A nation has the right check on transients who are not "expeditious" in their transits or why bother with all the exceptions? Does that investigation including searching the suspect vessels for contraband and the like? Now, here we get into the sovereign right of flagged warships of another country . . . which is a much bigger issue. In October 1981, the Soviet submarine S-363 accidentally hit an underwater rock about 10 kilometres (6.2 mi) from the main Swedish naval base at Karlskrona, surfacing within Swedish waters. The boat's presence coincided with a Swedish naval exercise, testing new equipment, in the area. Swedish naval forces reacted to the breach of sovereignty by sending an unarmed naval officer aboard the boat to meet the captain and demand an explanation. The captain initially claimed that simultaneous failures of navigational equipment had caused the boat to get lost (despite the fact that the boat had already somehow navigated through a treacherous series of rocks, straits, and islands to get so close to the naval base). The Soviet navy would later issue a conflicting statement claiming that the boat had been forced into Swedish waters due to severe distress, although the boat had never sent a distress signal, and instead attempted to escape. The Soviet Navy sent a rescue task force to the site in Sweden, commanded by vice-admiral Aleksky Kalinin on board the destroyer Obraztsovy; the rest of the fleet was composed of a Kotlin-class destroyer, two Nanuchka-class corvettes and a Riga-class frigate. Sweden's centre-right government at the time was determined to safeguard Sweden's territorial integrity. As the Soviet recovery fleet appeared off the coast on the first day, a fixed coastal artillery battery locked onto the ships, indicating to the Soviets that there were active coastal batteries on the islands. The fleet did not turn immediately and as they came closer to the 12-mile (19 km) territorial limit the battery commander ordered the fire control radar into top secret war mode, turning the radar signal from a single frequency to one that jumped between frequencies to stay ahead of enemy jamming. Almost immediately the Soviet fleet reacted and all vessels except a heavy tugboat slowed down, turned, and stayed in international waters. Swedish torpedo boats confronted the tugboat, which also left. The Swedes were determined to continue investigating the circumstances of the situation. The Soviet captain, after a guarantee of his immunity, was taken off the boat and interrogated in the presence of Soviet representatives. Additionally, Swedish naval officers examined the logbooks and instruments of the submarine. The Swedish Defence Research Agency also secretly measured for radioactive materials from outside the hull, using gamma ray spectroscopy from a specially configured Coast Guard boat. They detected something that was almost certainly uranium-238 inside the submarine, localized to the port torpedo tube. Uranium-238 was routinely used as cladding in nuclear weapons and the Swedes suspected that the submarine was in fact nuclear armed. The yield of the probable weapon was estimated to be the same as the bomb dropped over Nagasaki in 1945. Although the presence of nuclear weapons on board S-363 was never officially confirmed by the Soviet authorities, the vessel's political officer, Vasily Besedin, later confirmed that there were nuclear warheads on some of the torpedoes, and that the crew was ordered to destroy the boat, including these warheads, if Swedish forces tried to take control of the vessel. 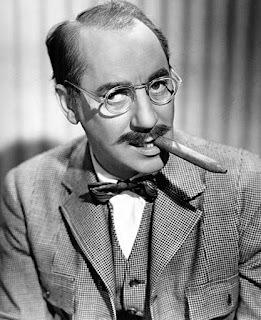 The Groucho Marx State of the Union: "Are you going to believe me, or what you see with your own eyes?" What happens when the President of the United States and the people of the country don't share the same vision of the path forward? Finger pointing and blame, I gather. As I read about the State of the Union speech, I can see that this President still doesn't think we, the majority of the American people, his ultimate bosses, "get it." We've seen this before when he has blamed our reluctance to follow his path to his perceived socialist-lite heaven on a failure to properly communicate his message - his vision of where the U.S. ought to be. What happens when the people don't support the President's vision? They elect members of the opposition to office in Congress in hopes of controlling the direction of country. As they did in the last election. If you are frustrated, you might well ponder that. Sure, it might be a failure of messaging, but it seems to me to be more likely that they are rejecting your desired path, over and over again. In short, the majority of the American people do not "demand" your vision but rather reject it. Reality keeps the majority grounded - they can see what is happening and they are not happy. It doesn't help that the efforts to spin the achievements of your administration is so obvious that we are left with that Groucho Marx quote in the header to this post - a President asking "Are you going to believe me, or what you see with your own eyes?" State of the Union Speech? No, thanks, I've got far better things to do with my time. Once again the current occupant of the White House will go before Congress to act out his final role in the political theater of the State of the Union address ("SOTU"). Count me among those who will not be watching. Not the SOTU and especially not the inevitable gushing commentary that usually follows one of these things, except perhaps on Fox. Instead of political analysts it would serve us all better if the "reporters" and "political commentators" covering these things were replaced by drama critics. Perhaps they already have been . . . In recent years I have also abandoned watching things that have turned into political theater - awards shows, for example, in which "daring" people who get paid vast sums of money to pretend to be other people make "statements" most of which reflect a certain level of unreality that seems to have bled over from their acting roles. I will probably read about the SOTU tomorrow. Someone else will count applause interruptions and other things I don't care about. After all, the SOTU presentation has the nearly same level of reality as "The Bachelor." Will there be more verbal assaults on the Supreme Court? Will the Court members attend again after their previous experience with this President? If so, what would motivate them to sit through a session in which response to his bullying is not allowed? If I were one of them, I'd stay home. Only a bully attacks people who are not in a position to answer back, and the current White House resident, in between his many straw man attacks, is a master of this "safe" attack. He does not like an honest debate. Not one bit. Of course, if I were a Justice, instead of staying home I'd probably be at the office writing decisions trying to undo the harm done by this administration. Even if that meant just ordering the Executive Branch to respond to FOIA requests. I doubt he will draw more "red lines" against North Korea, Iran, China or salafism because of a bad case of "paper tiger-ism" (except against domestic foes against whom he can deploy the secret power of the administrative agencies). As it is, I will be doing other things of more interest to me. You can let me know tomorrow how it all went. I suspect something like "Blah, blah, blah" - but that might just be me. So, if it turns out to be greatest speech ever given, let me know and I'll catch it on reruns. But, no, that might require honest reportage. One of the great naval heroes of literature - this version features Michael Redgrave in "Hornblower's First Command." Yes Shipmates ... we are now in our 6th year of Midrats! To mark the day, we are going to have a radically different format as a thank you gift to our listeners. The focus of the show today is one question; "Where do you see as the most critical thing to watch for Navy and Marine Corp issues in 2016." To get the answer, we are bringing on a series of prior guests one at a time in their own segment. To kick off we bring back our fellow Midrats plankowner co-host Raymond Pritchett, founder of Information Dissemination. 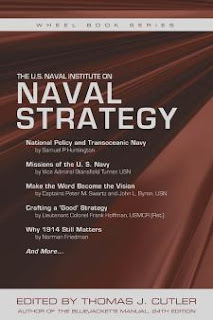 Following Raymond will be James R. Holmes, Professor of strategy and policy at the Naval War College; The Original Chapomatic CDR Chap Godbey, USN (terminal leave); author and former National Defense University Professor James S. Robbins; CTR1(IDW/SW) Lucien Gauthier, USN; CAPT Herb Carmen, USN (Ret), and Lieutenant Matthew Hipple, USN. Live radio. One question. Seven men. Please join us live if you can (or pick the show up later) by clicking here or pick the show up later by visiting our iTunes page here. It might prove to be an interesting adventure in live radio. Or something. New U.S. Chief of Naval Operations: "A Design for Maintaining Maritime Superiority"
CDR Salamander put this up this CNO "Design" first, but it's in keeping with the strategy discussion posted here recently. Before reading it, you should know that in 1974, VADM Stansfield Turner wrote an article for the USNI Proceedings, "Missions of the U.S. Navy," (may be behind a subscription wall) the subject of which we seem to be forced to repeat because of the short attention span of both the American public and our political class, which class seems intent on skimping on defense, despite a most challenging and dangerous environment, in order to buy votes with various social programs that have proved to be of dubious value except as "money pits." One of the important challenges facing naval officers today is to define, then articulate, why we need a navy and what is should be able to accomplish for the country. 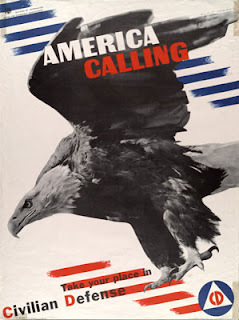 As you read the new CNO "Design" you will see that that challenge still exists today. In fact, that challenge may be even more severe today, when we seem to operate in a "What have you done for me lately?" mentality. As you read through the CNO "Design" you will note that ADM Turner's 4 mission areas are still there - somewhat modified in terminology and somewhat altered by the tireless forces of time and technology - which like the enemy, get a vote. Admiral Turner's fine essay is part of the USNI Wheelbook Naval Strategy book discussed yesterday.
. . .[T]he so-called maritime strategy, which is periodically devised or revised by the chief of naval operations and his contemporaries in the Marine Corps and Coast Guard, serves not only as a guiding document for professionals but a form of "advertisement" for the sea services as well. Strategy is described by the Dictionary of Modern Strategy and Tactics as having “a permanent nature, but an everchanging character.” For more than a century, both the nature and the character of this essential discipline have been explored in depth by contributors to the Naval Institute’s magazines, books, and oral histories. Drawing from those powerful resources, this collection makes clear why naval strategy has always straddled the boundaries between art and science and why its study and employment are essential components of the sea service profession. All so available as an ebook. Well worth the small cost. Time to Re-Read "A Cooperative Strategy for 21st Century Seapower"
MARITIME LEADERS FROM THE U.S. NAVY, MARINE CORPS, AND COAST GUARD UNVEILED AN UPDATE TO THE COOPERATIVE STRATEGY FOR 21ST CENTURY SEA POWER MARCH 13TH. THIS STRATEGY UPDATE IS DESIGNED TO HELP U.S. FORCES ADAPT TO CURRENT WORLD AND TECHNOLOGICAL SITUATIONS. "THAT IT REALLY DEFINES WHAT YOU'RE DOING TODAY, WHAT THE PEOPLE THAT I HIGHLY ADMIRE AND RESPECT ARE DOING OUT AND AROUND THE WORLD BEING WHERE IT MATTERS, WHEN IT MATTERS.THIS CODIFIES THE EFFORTS OF OUR SAILORS OUT AND AROUND TODAY." "THE BIGGEST CHANGE IS THE OTHER DOMAIN IN WHICH WE OPERATE, THAT'S THE CYBER DOMAIN. IT IS EXPLICIT IN EVERY LINE OF OPERATION THAT WE CONDUCT TODAY. ONE FROM A DEFENSIVE POSTURE, TO MAKE SURE THAT OUR ABILITY TO OPERATE IN THE CYBER DOMAIN ISN'T COMPROMISED." By the way, if you want to read A. T. Mahan's Influence of Seapower of History Upon History (1660-1783), you can find it for free here. I also recommend reading B. J. Armstrong's 21st Century Mahan but unless your library carries it, you might have to pay for it (Kindle version is about $13). Another free book on Maritime Strategy is Sir Julian Stafford Corbett's Some Principles of Maritime Strategy. You might have heard mention of these books on our Midrats podcasts, including the latest show Episode 313: Fleet Architecture and Strategic Efficiency with Barney Rubel. The operational level of war is concerned with the planning and conduct of campaigns. It is at this level that military strategy is implemented by assigning missions, tasks and resources to tactical operations. See also campaign. A controlled series of simultaneous or sequential operations designed to achieve an operational commander's objective, normally within a given time or space. See also operational level of war. Oh, and don't forget - logistics, logistics, logistics. It's not enough to field a force if you can't sustain it and its operations. A sound logistic plan is the foundation upon which a war operation should be based. If the necessary minimum of logistic support cannot be given to the combatant forces involved, the operation may fail, or at best be only partially successful. In a war, one operation normally follows another in a theater and each one is dependent upon what has preceded it and what is anticipated. The logistic planning has to fit into and accompany the operational planning. The two must be closely coordinated, and the planners for each must look as far into the future as they can in order to anticipate and prepare for what lies ahead. Freedom to Navigate - "Freedom of Navigation Operations" as challenges to "excessive claims to water and airspace"
Rumors first emerged in May 2015 that the Pentagon was contemplating military operations around China’s new artificial islands among the Spratly Islands. Through such exercises, the United States would aim to demonstrate that it does not recognize spurious Chinese claims to water and airspace around the islands. 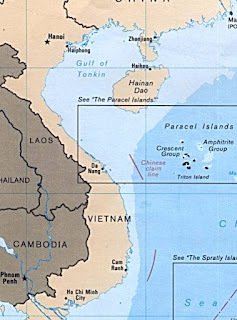 As the history of the Freedom of Navigation Program and its relationship to international law make clear, however, such operations would complement U.S. diplomacy and, although they would contest China’s claims to water and airspace under the UN Convention on the Law of the Sea (UNCLOS), they would not contest its claims to territory. 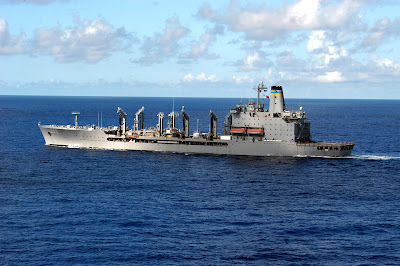 In a recent Senate hearing, Senator John McCain (R-Ariz.) argued that Washington’s failure to transit within 12 nautical miles of China’s claims “grants de facto recognition” of them. A report soon followed with the headline “McCain: U.S. Should Ignore China’s Claims in South China Sea.” This was likely not the message the Senator intended to convey, but reporting has consistently suggested that FONOPS would be used to push back against China’s claims to territory. The United States, however, has a long-standing policy that it does not take a position on other countries’ sovereignty disputes. 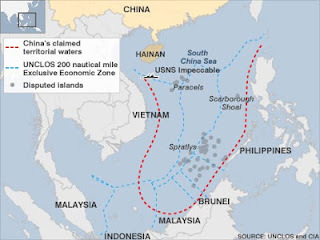 FONOPS are meant to challenge excessive claims to water and airspace; they do not challenge territorial claims.
. . . [P]recisely because the South China Sea territories are disputed, and because Washington does not take a position on such sovereignty disputes, it need not recognize territorial seas or airspace around any of China’s artificial features—or those of any other countries. 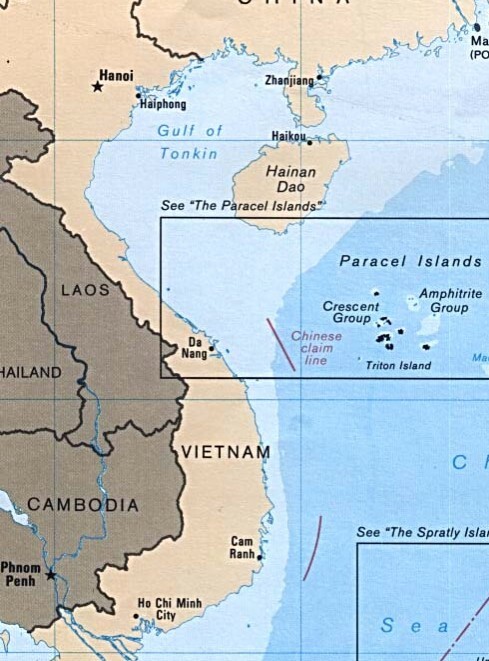 In short, territorial seas are a function of recognized state sovereignty, and where that sovereignty is disputed, vessels and aircraft may pass freely. ... even if China’s Spratly holdings were uncontested, the fact remains that Beijing’s seven island features are artificial. 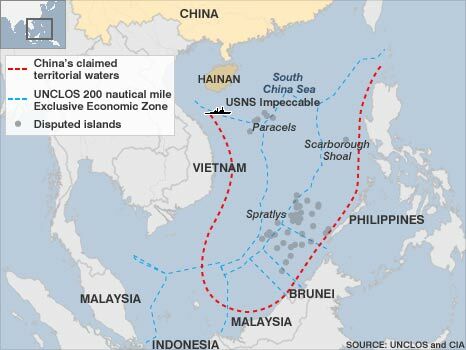 Under UNCLOS, man-made islands do not confer territorial seas or airspace. Rather, they are granted only a 500-meter safety zone. In China’s case, before its building spree, at least three of its seven artificial islands were low-tide elevations or reefs, rather than rocks or islands. Under international law, these features are not even subject to sovereignty claims—by China, or by anyone else. By this logic, even without persistent sovereignty disputes, Mischief Reef, Gaven Reef, and Subi Reef would not be entitled to water or airspace of their own, and therefore may be especially appropriate features around which to transit. Since the Chinese aren't being all that subtle - in that they are making very territorial-like claims, nuance may be wasted. Who is willing to go to war to keep the South China Sea open to free navigation? Or for that matter, who is willing to fight to close the South China Sea to the free passage of ships under international law? 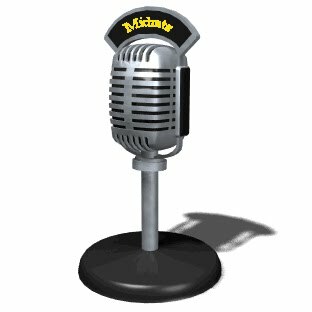 On Midrats 3 Jan 2016 - Episode 313: "Fleet Architecture and Strategic Efficiency with Barney Rubel"
How do you balance cost, risk, peacetime habits and wartime requirements in designing and using the world's largest Navy? How do we maximize the most the utility of our platforms now, and create a future fleet best suited for what is coming up? Our guest for the full hour to discuss will be Barney Rubel, CAPT, USN (Ret.). Robert C. “Barney” Rubel is a retired naval officer. From 2006 to 2014, he was Dean of the Center for Naval Warfare Studies at the US Naval War College. Prior to assuming this position, he was Chairman of the Wargaming Department. A thirty-year Navy veteran, he received his commission through the Naval Reserve Officer Training Corps at the University of Illinois. He subsequently became a light attack naval aviator, flying the A-7 Corsair II and later the F/A-18 Hornet. He commanded Strike Fighter Squadron 131 and also served as the Inspector General at U.S. Southern Command. Listen live or pick the show up later by clicking here or by visiting our iTunes page here. 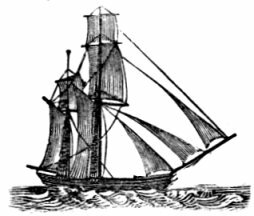 Saturday Is Old Radio Day: "Voyage of the Scarlet Queen"
High sea adventure with the stirring beginning, "Stand by to make sail!" - or at least stirring to some of us old sailors. A short series but a good one with a long running plot line. Voyage of the Scarlet Queen was a radio adventure on the high seas, airing on Mutual from 3 July 1947 to 14 February 1948. James Burton produced the scripts by Gil Doud and Robert Tallman. Elliott Lewis starred as Philip Carney, master of the 78-foot ketch Scarlet Queen, with Ed Max as first mate Red Gallagher. Each episode opens with an entry from the ship's log: "Log entry, the ketch Scarlet Queen, Philip Carney, master. 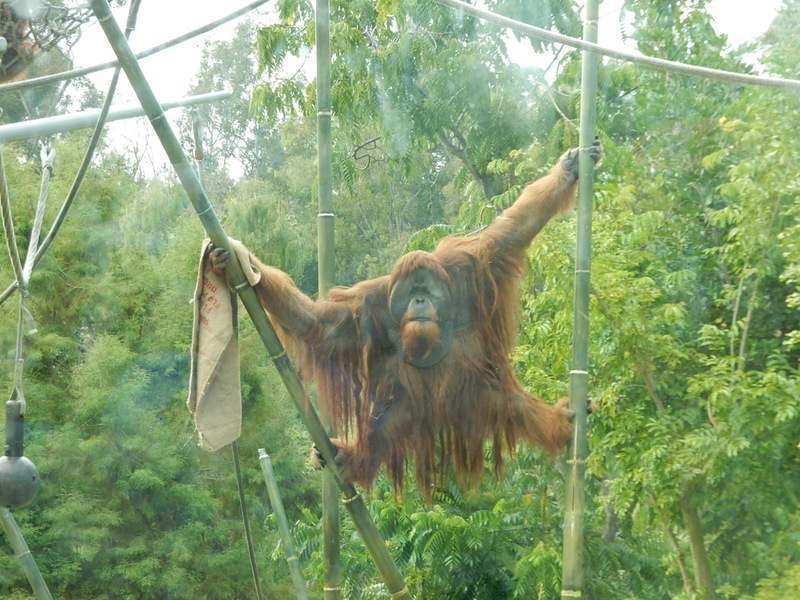 Position -- three degrees, seven minutes north, 104 degrees, two minutes east. 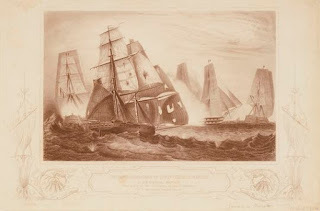 Wind, fresh to moderate; sky, fair..." with a similar closing: "Ship secured for the night. Signed, Philip Carney, master." Arriving at an exotic port of call, the captain and first mate would go ashore and immediately run into trouble with local authorities, agents of rival merchants, or desperate women in need of rescue. After some investigation and at least one good fight they would solve the problem, get back on the ship and sail away, Carney and Gallagher sharing a laugh and a drink at the wheel before the captain's closing log entry. Technically the show was among the better radio productions of the time, employing realistic sound effects and sailing terminology, well paced stories and colorfully detailed settings. Most places visited by the Queen are real. Even the map coordinates given by the captain are mostly accurate, following a zigzag course around the South Pacific. You can find more episodes here. Here's a wish for you to have a happy and prosperous 2016. As for me, I hope to just keep hanging around.